Jennifer Rentz is an Associate Consultant with expertise in leading large-scale projects, technology initiatives and operations management. With sixteen years’ experience in the parking industry, she brings a wealth of knowledge regarding industry best practice to assist municipal clients. Her skills and past experience are particularly valuable for clients engaging in technology upgrades, vendor selection and ongoing operational best practice procedures. Jennifer’s current projects with DIXON include development of comprehensive parking citation and permit management Request for Proposals (RFP) for both the City of Palo Alto, CA and the Village of Oak Park, IL. In addition to RFP development, she is managing parking technology pilots for the Village of Oak Park to test pay-by plate with several technology vendors. The ongoing engagement with Oak Park also includes an evaluation of Village ordinances and parking policy. This process began with input from key Village staff and the Transportation Commission along with community stakeholder meetings that helped define a direction for proposed changes to parking regulations. The goal of this process is to streamline parking restrictions and permit zones to facilitate enforcement and ensure parking availability for residents and visitors. Another pilot project she is managing for the City of Seal Beach, CA is underway to test both pay stations and single-space smart meter technologies. Her project work with the City of Seal Beach also includes assistance with enforcement upgrades; she is facilitating implementation of the City’s use of handheld enforcement devices and the introduction of vehicle-based License Plate Recognition technology. For the City of Reno, NV, Jennifer recently engaged City staff to perform an initial operational assessment and provide best practice recommendations for enforcement, staffing, signage, permit program and reconciliation. Prior to joining DIXON, Jennifer most recently served as Executive Vice President of West Coast Operations for Complus Data Innovations, Inc., a parking citation management firm. In her role with Complus, Jennifer was responsible for oversight of the company’s west coast office with responsibility for staff, client relations, revenue generation and administration. She also oversaw research and development of new mobile technology features and integrations. She has worked directly with over 150 cities, towns, villages, universities and private operators to help strategize parking procedures, maximize revenue, and implement the latest in parking technologies. Jennifer has PMP (Project Management Professional) certification, a Bachelor’s degree in Marketing Management and graduate coursework in the field of Data Science. 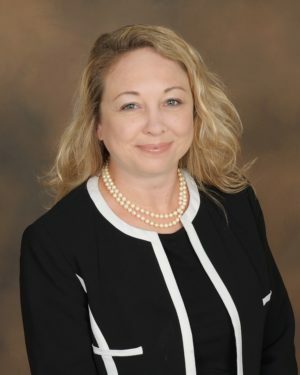 She was recently named one of National Parking Association’s “40 Under 40” in the parking industry and has been an active member of International Parking Institute’s Technology Committee for the past six years.